Jonathon Price has acquired a reputation as the best black ops operator in Afghanistan. He tactics have terrorized even the most hardened Taliban chieftains. But the killing has taken a toll, physically and emotionally. He's resigned his commission and returned home to San Diego to live near his grandfather, William Price. 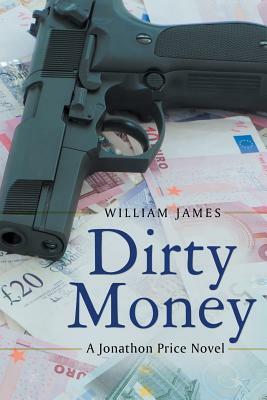 William has contacts in every part of the world, including the clandestine services and criminal enterprise, and has discovered a devastating terror attack in the planning stages. Then he finds he has a fatal cancer, and goes to a specialized hospital in Switzerland. While there, he puts together a plan both to stop the attack and slow the worldwide business of terror, including the drug trade and human trafficking. His plan is to cripple the world of terrorism by robbing it of a critical element-the ability to readily use the proceeds of theft, drug dealing and human trafficking by laundering the money. But William cannot implement the plan and he turns to Jonathon with a last request. That request comes in the form of a puzzle encased in a stainless steel cube. Solving the puzzle sets Jonathon on a quest to disrupt both the terror attack and the business of laundering money.